The Minister for Tourism, Arts and Culture, Mrs. Catherine Abelema Afoko, in an address at the Master Class of the 2018 Mediterranean Tourism Forum, announced Ghana’s geographical position to an audience consisting of representatives of nations of the Southern European Coast, including Greece, Turkey, France, Gibraltar, Monaco, Italy and Malta; the Levantine Coast including Cyprus and Israel and the North Africa sub-region, including Egypt. Algeria, Morroco, and Libya. “Fortunately, nature has, on her part, provided Ghana with an enduring landmark close to the seashore at Tema where the Zero Line of Longitude exits in the form of a small rock known as the Greenwich Rock. Almost a century ago, sailors stopped work to observe some rituals when their ships crossed the Zero Line,” she said. Countries, individuals and foreign official present at the forum all welcomed the announcement, prompting the Chief Executive of Malta Tourism Authority, Mr Paul Bugega to acknowledge Ghana’s position, saying “with this information by the Ghanaian Minister, I will revise my notes accordingly.” Capitalizing on the occasion, the Minister threw an invitation to tourists from all over the world to come and explore the center of the world. 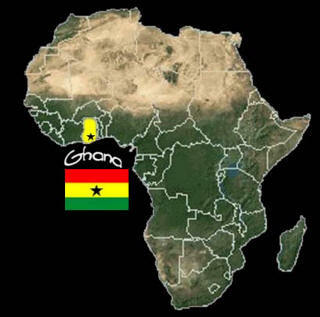 An international tourism consultant confirmed to the Daily Graphic that Ghana’s claim was “irrefutable”. He said that “anytime my GPS mistakenly set itself to Latitude Zero and Longitude Zero, the instrument automatically brought up the name, Ghana”. Did You Know That Feminists ‘Are More Likely To Watch P*rn’?